20" x 14" / 30" x 14"
Fully adjustable shrink film rack and separator allows various package sizes to be sealed without changing the film roll. 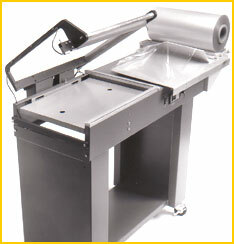 Accommodates 6" to 24" wide centerfolded shrink film rolls. Electronic digital temperature compensation makes perfect seals regardless of the operator's skill level. Adjustable volume control "seal is completed" audio buzzer. 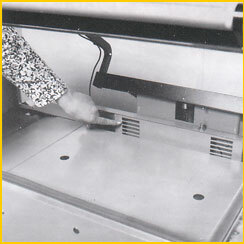 Up to 22 Packages per minute sealing speed! © Copyright 2001 - 2019 ATW Manufacturing Company, Inc.